Cheap hosting from hostkoss - affordable and powerful hosting sites. If your package not listed here don't forget to check our Billing hosting page. 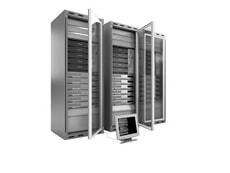 All services are provided on the equipment, which is located in the data center - Germany. Contacting company hostkoss, you can count on cheap hosting sites around clock. And this is far from case when firm declares low cost, and in fact it is even higher than average in market. You really will be able to save, having decided to buy cheap domain and hosting. You may have question - well why hostkoss provides cheap hosting for users? Answer is quite simple. Management company does not make twist on cost of two or three times, as it happens in other companies..
Hostkoss trusts more than 10000 people. Profit is directly dependent on volume customers, so price is most affordable for everyone. Such low cost fares are advantageous not only for users, but also for organization, reform it is not possible to deceive or cheat on part hostkoss. Only proven and cheap hosting, which will be basis successful work your site. Still not sure? Then separately it is necessary to tell about such service as test hosting for customers. Within month you will get opportunity to use cheap web hosting for free from hostkoss. In practice you will be able to make sure that servers do not "fall", and all sections on site are loaded instantly. Not sure how to order free trial period of 30 days? You need to go to the table with the tariff plans. At bottom each them will be button "test 30 days". Click on it and you will see page with selected fare. Fill in appropriate fields and use cheapest hosting and domain for month. Hosted site is protected against DDoS attacks. In few clicks, user can set up backup insurance system that will automatically create copies site. Hostkoss provides opportunity to buy cheap hosting and domain for your future site. You have choice of four whole fares. Thus each it supports versions of PHP from 5.4 to 7.2, has space from 500 megabytes and is located on servers in Germany. You can be sure of stability each them. And in three tariffs of four there is also protection from DDoS. Database management, restore backups in seconds. We will answer your letter or phone call at any time of the day. Email addresses on a domain with the name of your company or brand. 10,000 + customers can't be wrong! How to order a hosting? On the main page all tariffs are presented. Select the desired one and click "Order". Note that you must be registered on the site. Refunds are provided for all services except domains. If you are dissatisfied with the quality of our services, we will refund your money in full within 14 days. How to find out your DNS servers? Do you obey the law? Yes, we obey international law. Softaculous allows you to install popular CMS in just a few clicks and does not require special knowledge. !